From the late 1980s to 2007, Harley-Davidson motorcycles were the most popular bikes in the world. In the 1990s, people were put on year-long waiting lists if they wanted to buy a new Harley. Now, however, the company is in trouble. Sales have fallen dramatically, along with the stock price, and H-D announced Oct. 15 that it will discontinue selling Buell motorcycles and sell off Italian motorcycle maker MV Augusta to concentrate on Harley bikes. I’m sorry to see Harley’s troubles. 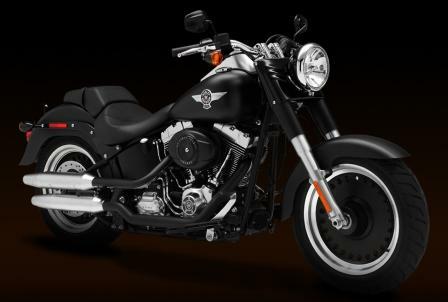 I think Harley-Davidson motorcycles, especially the FX models and Sportsters, are the best-looking bikes on the planet. I like the visual harmony and spare lines. I like the way they sound. They’re the perfect, quintessential image of a motorcycle. But I’ll probably never buy one. I desperately wanted a Harley, when I first started riding around 15 years ago. But that was during the company’s heydays, when they were extraordinarily popular, and if you wanted a new Harley you probably were put on a waiting list lasting a year or more. I spent a fair amount of time in Harley dealerships and walking out pissed off over the arrogance of the sales staff, who acted like they were doing you a favor by talking to you. Things are different now. Dealers are friendlier. But prices are still high, and new bikes usually lack items I think should be stock — dual disc brakes up front, an external oil cooler, and a front fork brace. I want this stuff for the sort of long-distance riding I do. They can be added on, but they’re damned expensive. I think this is why Harley is in trouble. It’s marketed itself to high-income customers and now that market has dried up. One wonders where the next group of buyers will come from.